While growing up, we all have a wishlist made of cars we’d love to own one day. Despite what people say about “not meeting your heroes”, these cars are an infatuation that goes nowhere until the day one actually gets to drives one. For Dorothée Schwartz, the infatuation began when she was 15 years old attending racing events and car meets as spectators. She and her brother used to love talking about vintage cars, dreaming of one day being behind the wheel and in the middle of all the action. Her brother has been racing historic cars for the past decade-and-a-half and in 2015, Dorothée, who is now 50 and mother to three children, decided to accompany him in the car that she had been enamoured by since her own childhood. 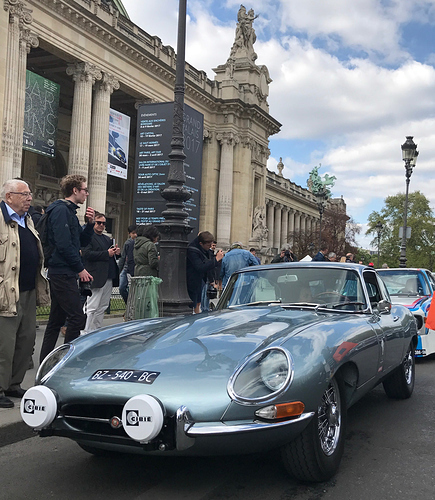 The Opalescent Silver Blue Jaguar E-type was the car of her dreams that she now drives on streets and country roads of France, known to many on Instagram as THE E-TYPE DIARY. The E-type fits in perfectly with Dorothée penchant for the sixty’s styling and design. It is one of the defining moments of mid-century British motoring that has a perfect blend of period design and engineering that sits perfectly to her liking. Its naturally flowing lines shapes in perfectly the relatively simple packaging. The Jaguar E-type is functional minimalism at its best. 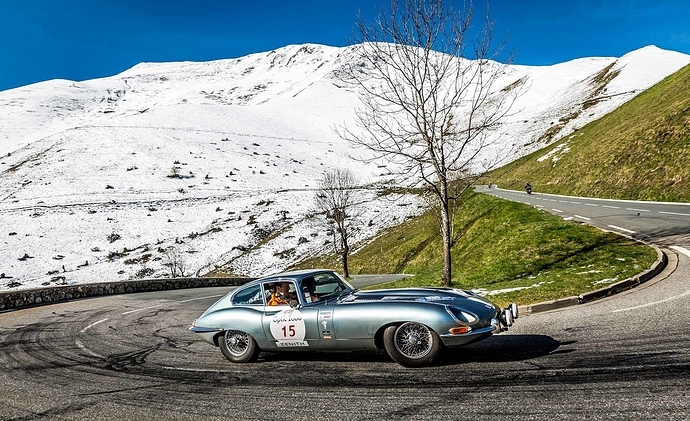 Dorothée got her 1964 Jaguar E-type Series 1 coupe two years ago in 2015 with the intention being clear of how it was thought of while growing up. It wasn’t long that the E-type was registered for the coming year’s Tour Auto. While visiting RETROMOBILE that same year, Dorothée met with the Marketing Manager of Bosch Classic Germany, who shared a common passion for art and design, and the E-type. It wouldn’t take them too long to go from being total strangers to teaming up for the Tour Auto where Dorothée’s latest acquaintance would be her co-pilot as well as her sponsor.